The Tibetan Youth Association in Europe (TYAE) has started a campaign to approach Google with the demand of labeling Tibetan places on Google Maps in Tibetan script. On the occasion of the centennial of Tibet's proclamation of independence, the Tibetan Youth Association in Europe (TYAE) is approaching Google with an urgent demand: Tibetan places on Google Maps should be labeled in Tibetan script. 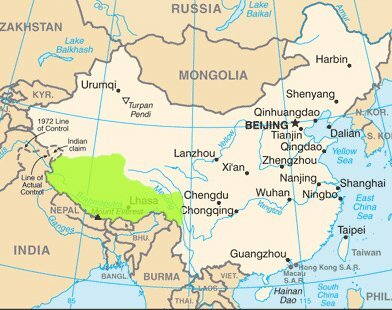 To stop the disappearance of Tibetan cultural heritage, the TYAE is hereby launching the campaign forum http://www.tibetonthemap.com. The campaign is being supported by Hollywood actress Yangzom Brauen and Tibetan Associations worldwide.